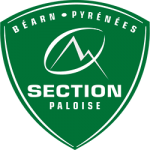 For those lucky Ospreys supporters travelling to Pau for this weekend’s Challenge Cup match, we’ve had the following information from Pau’s fan club, Section 16e Homme, including an invitation to meet up for a glass of wine on matchday at the stadium! “ For lunch & diner, you can find many places downtown with different french food like around the Chateau de Pau. On Rue des Cordeliers, the Beanz Cafe is awesome for us because the menu is made by ladies from Australia, New Zealand and Ireland. 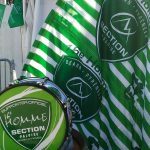 And before or after the game, next to the stadium, La Cantine de la Section is the place to be for eat french food or drink beer. And, downtown on the Boulevard des Pyrénées, the Galway Pau is a pub with French people and from other countries. It’s 1 of the 3 bars on the Boulevard. I hope you’ll find what you want for having a good trip in our South West! !